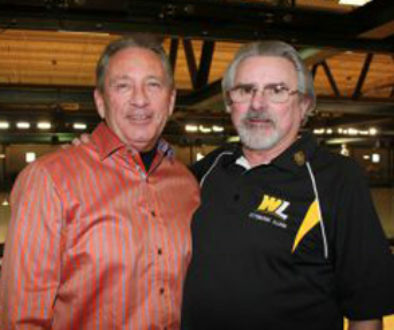 WEST LIBERTY, W.Va., Feb. 14, 2019 — West Liberty University alumnus and former basketball standout Al Roszczyk ’80 will be honored for his recent $25,000 gift at the Saturday, Feb. 16 men’s basketball game when the Hilltoppers take on the Charleston Golden Eagles at 4 p.m. in the Academic, Sport and Recreation Complex (ASRC). 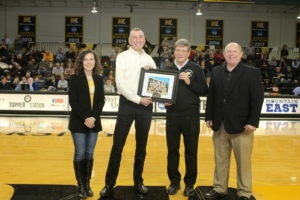 From left, WLU Foundation Director Angie Zambito Hill, Al Roszczyk, WLU President Stephen Greiner and WLU Athletic Director Lynn Ullom. “We are very grateful to Al for his leadership and vision. This endowment fund will support the future of our highly successful men’s basketball program for years to come,” said President Stephen Greiner. Roszczyk’s gift consists of $25,000, earmarked for the needs of the men’s basketball program. Income from the fund will be used to provide scholarships, equipment, recruitment expenses, team meals and other needs. 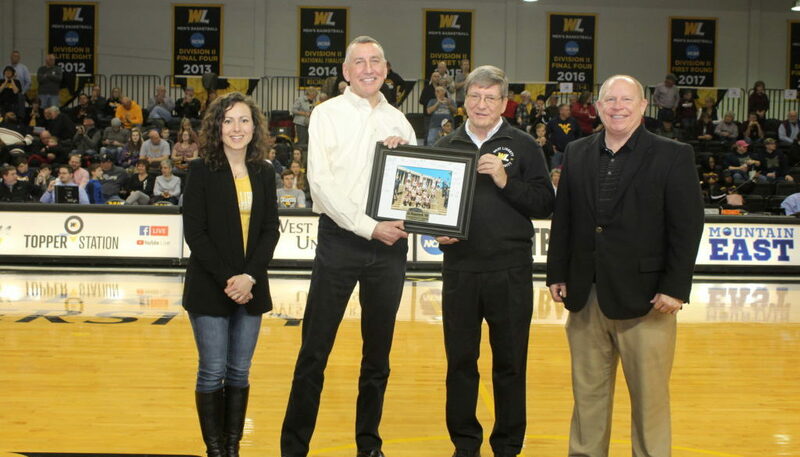 “Al’s generosity is inspiring and the WLU Foundation will work toward a goal to build the Men’s Basketball Endowment Fund to $100,000 by the end of the current fiscal year. 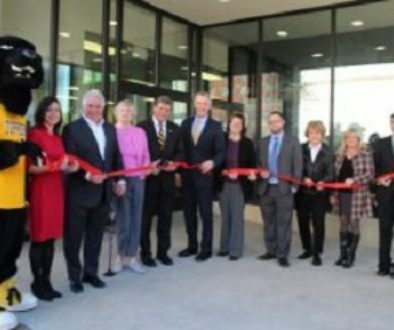 If you would like to get involved, please contact me,” said Executive Director of the WLU Foundation Angela Zambito Hill. “President Greiner and the whole WLU family is very grateful to Al for his leadership and support. Thank you Al!” she added. Also inducted into WLU’s Alumni Wall of Honor in 2017, Roszczyk is a Steubenville native and All-West Virginia Conference honoree. He will be attending the game with his daughter Erin Laswell. He and his wife, Susan, reside in Columbus, Ind., where he is Regional President for First Financial Bank. He has a second daughter, Sara, who also resides with her family in Columbus. WLU is a member of the NCAA and MEC and offers a wide range of intercollegiate athletics at the NCAA Division II level, including men’s football, cross country, basketball, wrestling, track, tennis, baseball, soccer and golf; women’s softball, volleyball, cross country, basketball, track, tennis, golf, acrobatics and tumbling and soccer. 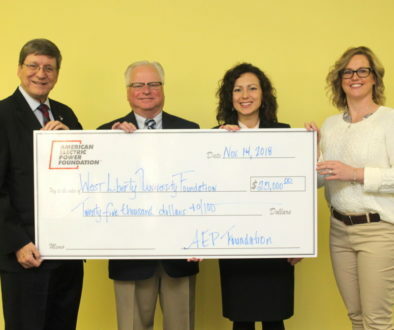 The WLU Foundation recently underwent a strategic planning process led by the Board of Directors. The board recognized the declining state funds as a challenge to WLU and committed to growing the endowment to $25 million in the next 3-5 years. The newly established fund for Men’s Basketball is part of that overall strategy to enhance current programming and secure WLU’s future. For more information on the WLU Foundation or to make a gift, please visit wlufoundation.org or call 304.336.5635.